We here, at MDF, Contra Costa County Jail, that are of Latin descent and not southsiders, are being held in Ad-Seg status now since 2010. And now even more unjust treatment is being added to us, gang enhancements just for being housed on this module, even if we don't ask to be housed on this module at time of arrest/booking. Classification, Administration and the District Attorney's office is using this module as an apparatus to get harsher sentences from the courts. Maybe we were not clear on the housing of mental health prisoners here in Ad-Seg. Our point is that there is an entire module for mental health prisoners where they can get help for their issues with trained staff. There is no mental health staff stationed in Ad-Seg, and no groups or therapy for prisoners. Bottom line is, mental health prisoners should not be housed in Ad-Seg on the whims of classification unit. Yes these guys are a headache to have in Ad-Seg, but more importantly they receive no help and deteriorate further by being warehoused in Ad-Seg. We are not trying to cause division in the prison population. There are 53 inmates housed in Ad-Seg here. 13 prisoners did a 24 hour support strike while 5 of us continued for 6 to 12 days. We continue to support all those still on strike. Our strike is suspended, not stopped. If we do not continue to move forward in our demands or we come to a place in time when it is warranted, then we will continue our strike. MIM(Prisons) responds: This letter addresses our criticism of the demand by MDF prisoners to "immediately cease and desist the unconstitutional custom, practice and unofficial policy of improperly housing inmates with mental health issues among the non-mental-health-status Ad-Seg detainees" as unnecessarily divisive. The original demand complained of the disruptive behaviors from the mental health prisoners but did not mention the lack of treatment options for these individuals. If conditions are better in the mental health module, it would be an improvement for these individuals to escape Ad-Seg and be placed there. However, the "treatment" for people with mental health problems in the United $tates is, at best, a targeting of the symptoms, and at worst leaves people either physically or medically restrained in a drug-induced stupor. Mental illness in prisoners can often be linked to the conditions in which they are housed, especially long-term isolation. So we are naturally skeptical of any treatment offered by those same captors who insist on locking people up in conditions that induce the health problems in the first place. But we appreciate the additional explanation that the MDF prisoners did not intend the demand for mental health prisoners to be divisive but rather targeted treatment for these individuals. We hope they will consider carefully the wording of such demands in the future. In the short term, we know that capitalism will continue to produce new cases of mental illness which can not be successfully treated until we address the problems of a society that generates these illnesses. We look to China under Mao for an example of successful treatment of mental health conditions by addressing both the immediate problems and the systemic roots of these conditions. Meanwhile, the comrades in Martinez are not the only ones on suspended hunger strike. 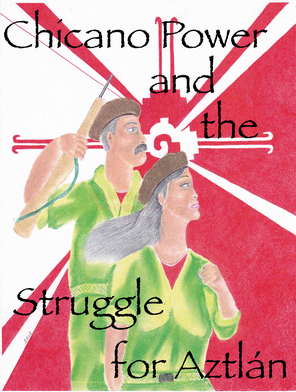 A number of comrades have reported a willingness to restart in support of the five core demands as the struggle heightens. On Monday 8 July 2013, detainees housed in Ad-Seg will actively be taking part in the hunger strike being implemented statewide by prisoners, inmates, detainees (etc.) 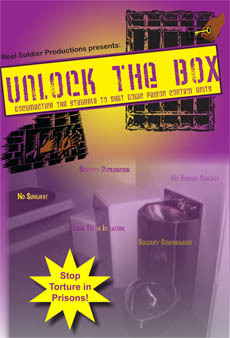 confined under unconstitutional conditions in California state prisons and jails. Martinez Detention Facility (MDF) Ad-Seg detainees support the core and supplemental demands of our partners in Pelican Bay Prison Ad-Seg/SHU programs and we join them in opposition of their, and ALL, unconstitutional conditions of confinement in all California state prisons and jails. MDF Ad-Seg detainees hereby also provide notice of our own 5 Core Demands to stop unconstitutional conditions of confinement blatantly enforced here at MDF. MDF Ad-Seg detainees demand Sheriff/Jail officials immediately cease and desist the unconstitutional custom, practice, and unofficial policy of placing detainees in Ad-Seg without any due process. Some detainees have been held in Ad-Seg indefinitely (over 5 years) without any notice, hearing or due process required by Constitutional Law. If a detainee submits a request or grievance on the issue, they receive a response from classification only stating "you are housed appropriately." MDF Ad-Seg detainees demand Sheriff/Jail officials immediately cease and desist the unconstitutional custom, practice and unofficial policy of locking detainees in filthy cells with no windows or light controls for 48 hours (or more) before being allowed out of our cell for 1 hour to shower, groom, use phone, exercise and inadequately attempt to clean our cells. Detainees request that they be allowed out of their cells for at least 1 hour daily in the morning, afternoon or evening and also be allowed to shave daily as state regulations require. Incorporated within this demand, detainees also seek a provision for a daily opportunity to clean their cells. Currently detainees are only allowed (every 48 hours or longer) a broom, dust pan, and a mop. They are not provided with disinfectant, toilet bowl cleaner, rags, or any other cleaning supplies to adequately clean cells. Detainees must also keep trash (from 6 meals) in their cells for 48 hours or more. MDF Ad-Seg detainees demand Sheriff/Jail officials immediately cease and desist the unconstitutional custom, practice and unofficial policy of daily holding medical and mental health appointments at the detainees' cell doors which allows all other detainees to hear the confidential medical/mental health issues. This is in violation of the "Medical Act and Privacy Rights." Detainees also seek the equal protection of a "TRIAGE" phone line as other MDF detainees on other modules are provided. Loud yelling/banging all night, keeping detainees awake. Getting feces and urine thrown under detainees doors. Delusional actions/comments against or towards detainees. Spitting through detainee doors or on glass. Breaking and/or destroying hair clippers/shavers, preventing other detainees from using for court, visits, etc. MDF Ad-Seg detainees demand Sheriff/Jail officials immediately cease and desist the unconstitutional custom, practice and unofficial policy of denying all MDF detainees access to pens to submit legal work to the courts, nor copying provisions for our writs and other valid legal documents to the court. Also, there is no readily continuous access to a pencil sharpener which is often broken, preventing detainees from writing legal documents and/or sending letters to family and friends for weeks. There are many more unconstitutional conditions of confinement here at MDF. Those are 5 of the most egregious which we present as issues. Detainees will be hunger striking to correct, beginning Monday 8 July 2013. Detainees peacefully and respectfully request that Contra Costa County Sheriff Office engage in swift and prompt actions to correct these unconstitutional conditions of confinement. MIM(Prisons) responds: While we support the hunger strike going on in Martinez Detention Facility, we would like to warn against creating unnecessary divisions between prisoners. We have reported in the past that mental health status is greatly exacerbated by the conditions of imprisonment generally, and especially of long-term isolation. Often times these prisoners are put in isolation (or even imprisoned in the first place) because of their disruptive behavior stemming from their mental illness, which does nothing to improve their condition. Not only does imprisonment worsen the condition of those who already suffer from mental illness, but it can, and does, induce mental illness in people who would otherwise not suffer from delusions, post traumatic stress disorder, anxiety, sensitivity to light, noise, and touch, suicidal thoughts, etc. It is well documented,(1) and MIM(Prisons) has witnessed first hand, that the state uses long-term isolation as a tactic to specifically wreck the mental health of prisoners who are engaged in political work and organizing. While we understand the impact that this disruptive behavior has on this contributor's ability to sleep and focus, we worry that a demand to send mentally ill prisoners "away" would lead to further isolation and deterioration. Mental illness isn't caused by inadequacies within individuals, but is instead a symptom of all the irreconcilable contradictions in our society. Mental illness has systemic roots. Therefore, all short-term solutions to help people with mental illness in this country are just bandaids on gaping wounds. Reported in Serve the People: Observations on Medicine in the People's Republic of China, a book by Victor and Ruth Sidel, all mental health conditions in communist China under Mao were cured except for some extreme cases of schizophrenia, and those who had previously been suffering became productive members of society. Reasons for this turnaround include not only relief from stressors which had previously led people to mental illness — severe gender oppression, inability to survive or thrive, etc. — but also a flood of resources dedicated to mental health research and application which hadn't been possible before when society was organized based on the profit motive. The methods currently being used to treat mental illness are collective help, self-reliance, drug therapy, acupuncture, "heart-to-heart talks," follow-up care, community ethos, productive labor, the teachings of Mao Tse-tung, and "revolutionary optimism." They go on to explain in detail what each of these methods consists of. Similar to how feudalism in pre-liberation China led many wimmin to suicide, it is clear that most mental illness is a direct result of our capitalist and imperialist society. The most stark example of this being the post-traumatic stress disorder suffered by at least 20% of U.$. veterans of the Iraq and Afghan wars. (2) Hearing any account from a member of Iraq Veterans Against the War, you can see that a large contributing factor to the PTSD is the unjust nature of these wars; killing for no reason. In People's War, the cause is just (self-defense) and the aim isn't to murder and intimidate, but to liberate the most oppressed and create a better world for everyone. That is quite a contrast. We know it is difficult to organize in Ad-Seg, and we know it is especially difficult to organize with people who are in the middle of full-blown mental illness. But we still encourage our comrades to look for ways for prisoners to come together against their common enemy and to fight on behalf of the common good of all prisoners and oppressed people generally. A more progressive demand than number 4 above would be an end to solitary confinement for all prisoners. For more on our perspective on mental health, see Under Lock & Key 15 or MIM Theory 9: Psychology & Imperialism. 1. Stuart Grassian, "Psychiatric Effects of Solitary Confinement," Journal of Law and Policy, Vol. 22:325 2006, p.325.